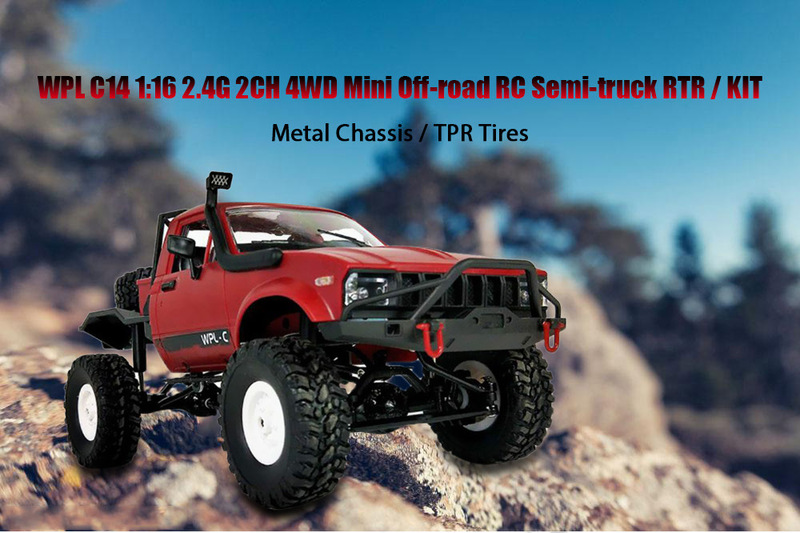 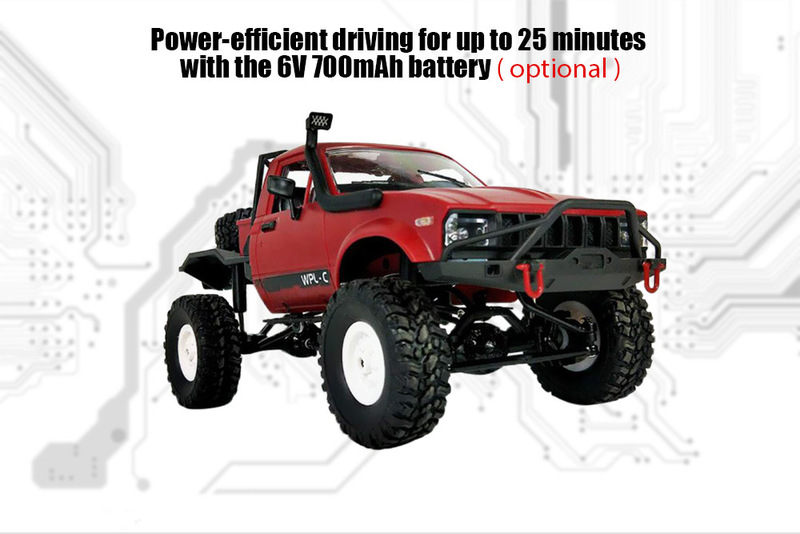 The off-road 1:16 off-road RC truck features 2.4G 2CH transmitter. 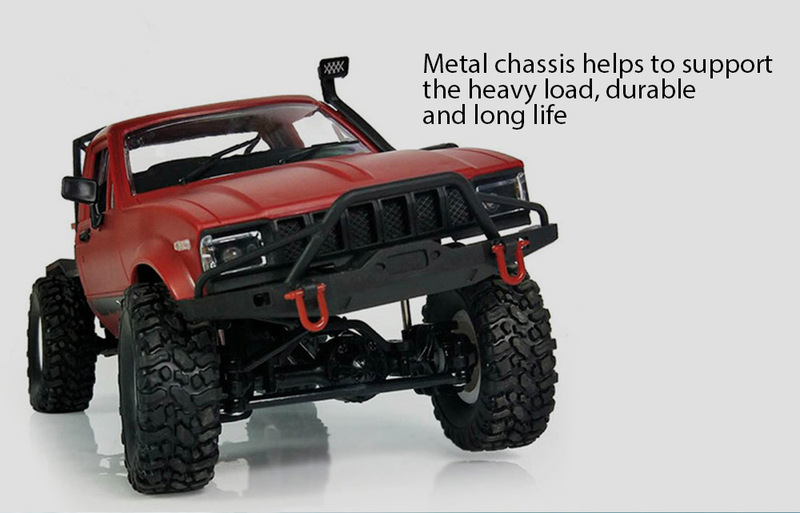 With the 4-wheel universal drive shaft and metal chassis that enable it to load heavy things. 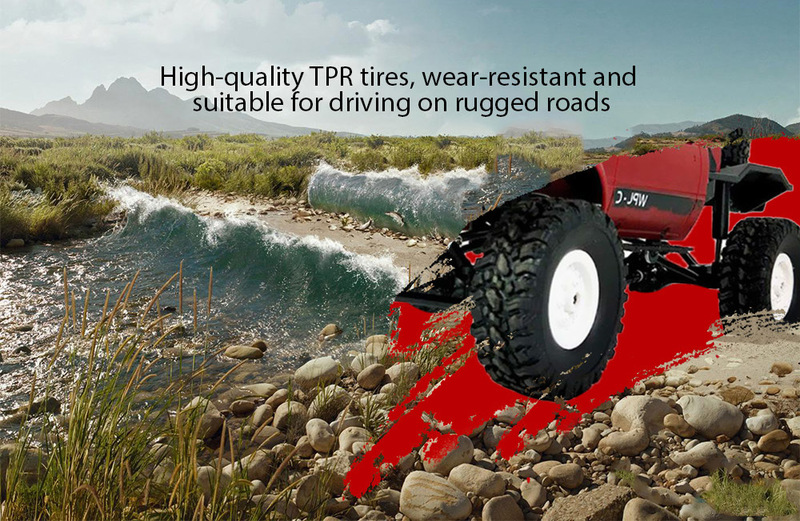 In addition, equipped with the wear-resistant TPR tires, the RC vehicle excels in running on uneven roads.